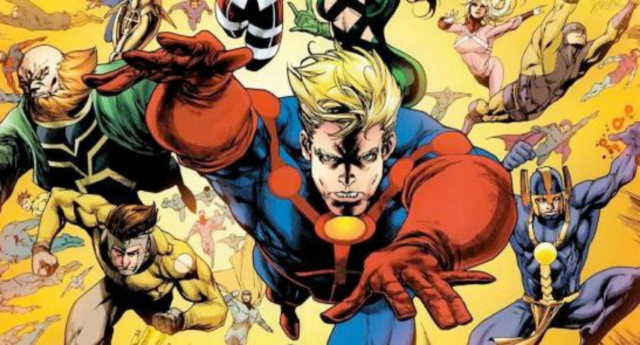 Marvel Studios is reportedly looking to cast an openly gay male actor as the lead in upcoming comic book movie The Eternals. The movie is said to be searching for someone who is between the ages of 30 and 49. He needs to “physically look like a superhero” and will preferably be open about their sexuality. According to The Hashtag Show, they are open to men of all ethnicity. If they manage to find someone who fits the bill, the actor will mark the first openly gay lead within the Marvel Cinematic Universe. The publication also suggests that the studio has already identified a frontrunner. If cast, it claims they will play Ikaris, a prominent member of the titular race. Other leads are likely to be Sersi and Piper. It’s unclear whether the role itself will be LGBTQ. Ikaris is believed to have had a wife in the comics but considering that the Eternals aren’t Marvel’s most talked-about heroes, writers Matthew K Firpo and Ryan Firpo could take some creative liberties. Similarly, studio president Kevin Feige stating that the studio is actively looking to introduce more queer characters into the MCU – through both old and new figures – last year means it remains a possibility. Fans of the ever-growing franchise have certainly voiced their desire to see more diversity onscreen, so here’s hoping the execs are listening! Created by legendary Marvel writer Jack Kirby, the Eternals are said to be enhanced genetic offshoots of early humanity. Interestingly, Avengers: Infinity War villain Thanos has been heavily linked to the team in the comics, being the son of Eternals A’lars and Sui-San. Perhaps the big, purple baddie is their way into the MCU? Throughout their storylines, the Eternals most notably fought enemies called Deviants. While Eternals possess god-like powers and are thought to be beautiful, Deviants are believed to be physically displeasing. That said, they are highly intelligent and supposedly developed advanced technology before humans stopped cave-dwelling. For now, little is known about the project. It has been reported that director Chloé Zhao has been eyeing either The Umbrella Academy‘s Cameron Britton or Cold War‘s Tomasz Kot for a supporting role in the movie though. While nothing is set in stone as of yet, production on The Eternals is currently aiming to kick off in the UK on 9 September 2019 and continue into January of the following year.